Warm, fresh from the oven pecan brownies are a treat that no one can resist! I love my cast iron skillet. I use it for everything from main meals to cornbread to breakfast to desserts. I cook with it on the stove top as well as in the oven. My skillet has never done me wrong. I especially love making skillet desserts. Something about digging my spoon or fork straight into the pan and eating my dessert warm just really gets to me. 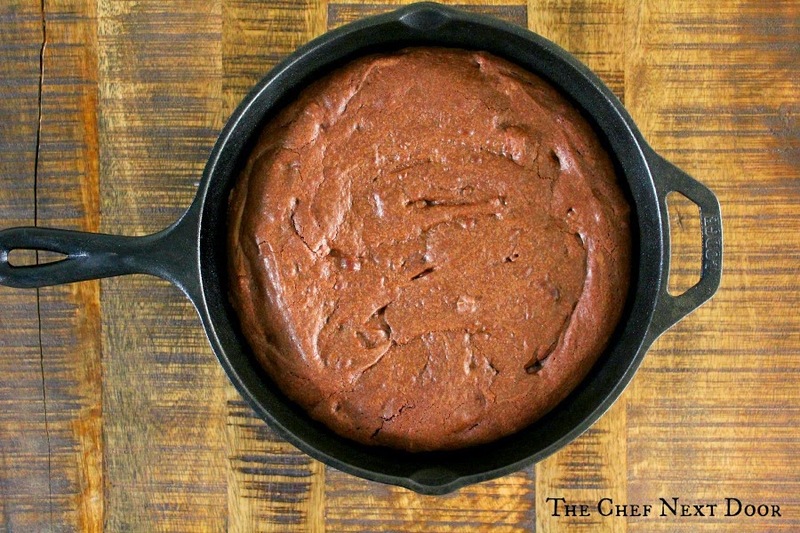 These Skillet Pecan Brownies remind me of a fudgy cake that I can't stop eating. Top the warm brownies with a scoop of vanilla ice cream and you've got yourself one perfect restaurant worthy treat! Preheat the oven to 350 degrees. In a small bowl, whisk together the sugar, eggs, and vanilla. In another small bowl, whisk together the flour, cocoa powder and salt. Add the butter, heavy cream and chocolate to a cast iron skillet, or ovenproof skillet, and set over medium-low heat. Cook, stirring constantly, until the chocolate has melted, Remove the skillet from the heat and allow to cool slightly. Slowly add the sugar mixture to the chocolate mixture, whisking until combined. Fold in the flour mixture, then the pecans. Bake for 40 minutes, or until a cake tester inserted into the center of the brownies comes out clean. 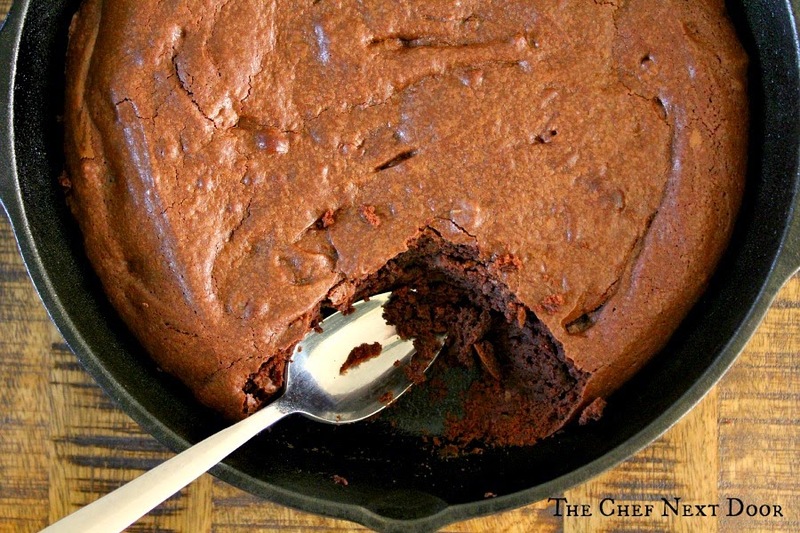 Serve the brownies from the skillet, warm or at room temperature. Top with a scoop of ice cream, if desired. Looking for more skillet dessert recipes? Try my Skillet Apple Pear Crisp, Skillet Chocolate Chip Cookie or Skillet Chocolate Cake with Chocolate Icing!